-Rich earthy aromas, with very warm-clean maple body of flavor. The overall finish of this Maple is lush, yet elegantly soft. (This recipe is completely without any sweeteners --add your own). And it is a kind of exciting product for you to use, without that cloying artificial candy-ish taste or after-taste that is so disappointing in artificial products. 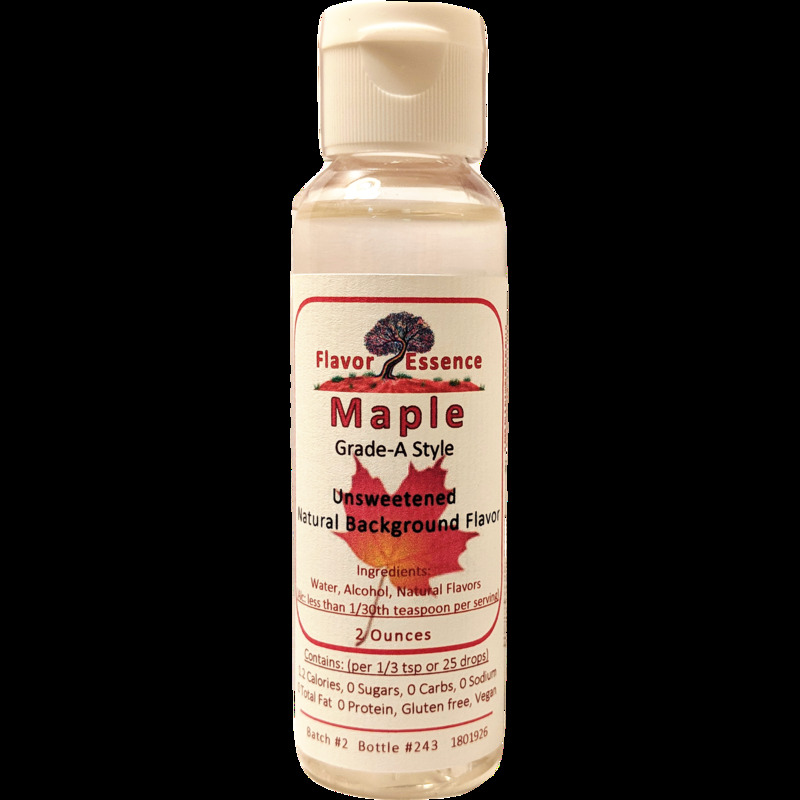 If you've ever visited a sugar shack in New England while Maple sap is being boiled and evaporated, the aromas/perfume of this Maple will remind you of the heady steam that fills the sugar shack on the first evaporation runs. This unique product has a flavor "personality" that deliciously tastes like the Grade-A samplings that visitors get to sip while the first vats of concentrated maple liquid are still warm. Contains: water, alcohol, concentrated natural flavors only (Unlike extracts, the alcohol here is purposely minimized to a very nominal level of well less than 1/30th of a teaspoon per serving.